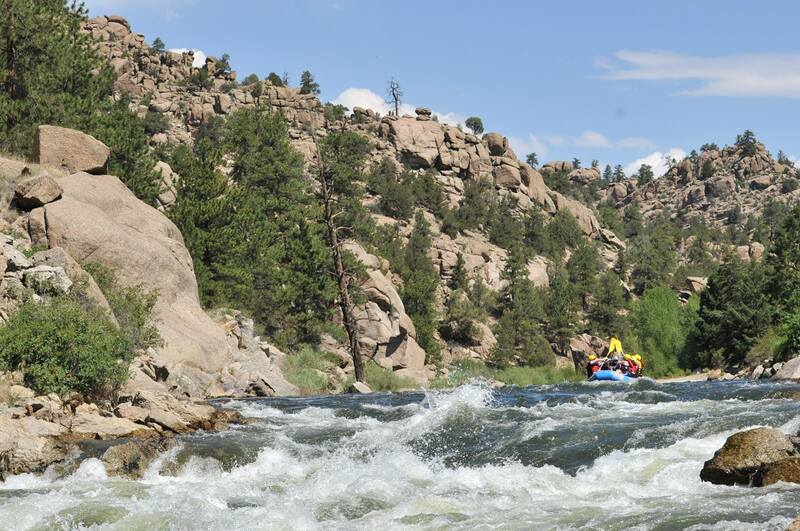 Spend part of your Colorado vacation on one of our ⅓-day Colorado rafting trips! Running directly through the heart of Buena Vista, the Arkansas River is home to the Browns Canyon National Monument and boasts beautiful and protected natural habitats, exceptional wildlife, world-class trout fishing, and Class I-V whitewater! Clear Creek, located just minutes from Denver, is the epicenter of Idaho Springs. With an abundance of bighorn sheep, mule deer, and some of Colorado’s best whitewater, this creek has excitement waiting for you around every bend. Join us on one of our rafting trips. With our rafting tours, we offer you the chance to relax, or even challenge yourself by having a little something for everyone in your group. From our mild and scenic family floats, to our exhilarating and adrenaline-packed advanced rafting trips, your adventure with Browns Canyon Rafting will flow through your memories for years to come.